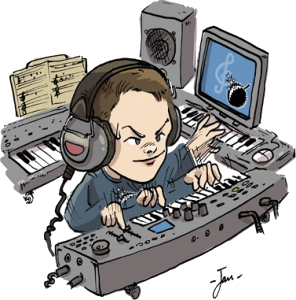 I’m Jan Morgenstern and this is the website of my audio production company. I’m a composer and sound designer by nature and profession, and you can hire me to work on your projects. In the past, I’ve provided award-winning music and sound for numerous film and TV projects, video games, and advertisements; to get a taste of those works, check out my showreel, take a look at my references, or listen to examples of my music. If you have any questions or feedback, or in case you’re interested in a quote for your project, please contact me. These days I’m busy putting the finishing touches on the orchestral soundtrack for the tactical role-playing game Fell Seal: Arbiter’s Mark, which will be out for PC and consoles in early 2019. In anticipation of the release of the game and its complete hour-long soundtrack album, today I’m putting out a free, downloadable, no-strings-attached EP with 7 original tracks from the game for your listening enjoyment. If you like what you hear, watch this space (and the game’s website) to stay tuned for the full release. 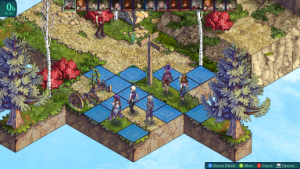 And in the meantime, you can buy and play Fell Seal: Arbiter’s Mark right away in Early Access! You can stream the EP below, or download it in high-quality MP3 format. Enjoy! Colin’s grandfather lived for 94 years — long enough to experience the Great Depression and the Great Recession, the birth of both television and virtual reality — and he chronicled the decades in a staggering accumulation of sketchbooks, each a literal chapter of his life. After he died in 2015, his family faced the intimidating task of cataloguing this legacy and in doing so, they quickly discovered a precious centerpiece of the collection: A book of memories that condenses Byron Levy’s entire life into a series of highly creative illustrations and diary entries. Here were stories of long-lost friends next to struggles at work, moments of historical significance flowing into prosaic family vignettes: kaleidoscopic portals into moments of the prolific artist’s life. 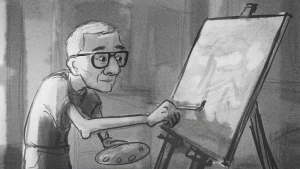 In his short hand-drawn documentary My Grandfather’s Memory Book, filmmaker Colin Levy, along with his dad, take us through a few of the astonishing, funny and whimsical stories that the book evokes. The work is featured in the op-doc section of the New York Times, along with Colin’s brief essay that explores the circumstances of its making. I got to contribute the audio editing, sound design and mixing duties of the short film, and wrote an old-time jazz piece that accompanies its final part and credits. You can watch the short in its entirety on the NY Times’ Op-Doc page. Get your tactics on in Fell Seal: Arbiter’s Mark! Centuries ago, a brutal beast of destruction rent the world asunder. In this time of need, the first Immortals came into their uncanny powers, powers so great that they succeeded in destroying the beast ravaging the land. To prevent such destruction from ever happening again, they banded together to form a Council that would enforce peace and stability on a global scale. The Immortals might be vastly powerful, but they are few. To oversee the lands, they rely upon their mortal agents, the Arbiters. It is them who range over the land, rooting out bandits, unruly monsters, and crooked officials; their word is law. But one Arbiter uncovers the deepening corruption pervading her own order, and it falls to her to halt the spread of a threat as great as the brutal beast of yore. 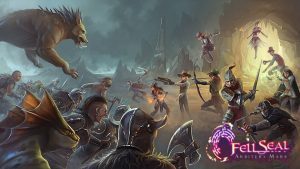 Fell Seal: Arbiter’s Mark is an upcoming tactical roleplaying game for PCs and consoles that features captivating turn-based combat, gorgeous hand-drawn graphics, and an intricate class system. Brainchild of game developers Pierre and Christina Leclerc and developed under their Florida-based indie game label 6 Eyes Studio, the game will conjure up the spirit of great classics like Final Fantasy Tactics and Tactics Ogre. In a trans-atlantic collaboration that I’m really excited about, I’ve been brought on board to write an extensive original soundtrack for the title. Fell Seal: Arbiter’s Mark is set to be released on PC/Mac/Linux and XBox One systems in 2018, but you can check out the trailer and find a playable pre-alpha demo (PC) here. If you like the project, please consider supporting it on Kickstarter on September 26th! You can already join the campaign on Thunderclap to not miss a beat. 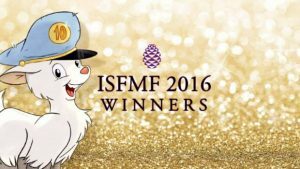 “Geitekillingen” music wins Crystal Pine Award at ISFMF 2016! I’m honored and excited to announce that my music for the animated TV adaption of the Norwegian children’s tale Geitekillingen som kunne telle til ti has won the Crystal Pine Award in the category of Best Original Score in a Short Film at this year’s International Sound & Film Music Festival in Rovinj, Croatia! The festival, which took place in October, was headlined by industry luminaries such as three-time Oscar® winner Michael Minkler, Oscar® winner and film audio legend Randy Thom, and jazz and film musician Kyle Eastwood. I’m immensely grateful to the jury and the organizers of the festival for the recognition, and to Geitekillingen director Hans Jørgen Sandnes and his team for trusting me with the musical side of their brainchild. The second half of this year saw even more good news for the little goat, with my music getting a nomination in the category of Best Score in a Short Film at this year’s installment of the Fimucité film music festival in Tenerife, Spain. The festival took place in September 2016 and featured a combination of stunning film music concerts and masterclasses with film music veterans like Howard Shore, Óscar Navarro, and Richard Bellis. 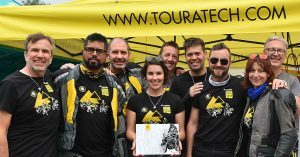 This month will see the release of a new documentary feature that my friends over at Touratech have been making over the past months. 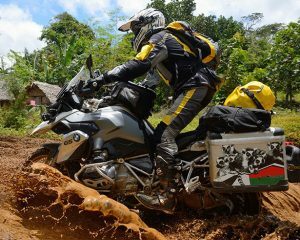 Initiated by Herbert and Ramona Schwarz, the non-profit project United People of Adventure gathered 6 experienced touring riders from 6 continents for an epic journey across Madagascar. Along the way, they encountered treacherous weather conditions, stunning landscapes, and inspiring people – such as the caretakers at the Orphanage of Antalaha, which is the main beneficiary of all proceeds from DVD and book sales among other aid projects in the region. The film is directed by Wolfgang Danner and will be out and available to order from the Touratech website very soon. In the meantime, check out the United People of Adventure Website to find out more about the project, or watch the video diaries that the team released over the course of their trip. Life on a Scandinavian farm may not be what you traditionally expect to be a hotbed for radical ideas, but all it takes is a little goat with a recently-acquired skill of counting to ten and a bunch of animals who would really rather just tend to chewing grass rather than being counted, and you have all the ingredients for a bona fide culture clash. 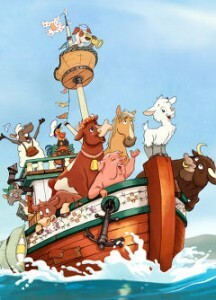 With his 1957 story Geitekillingen som kunne telle til ti – The Little Goat Who Could Count to Ten –, Norwegian author Alf Prøysen successfully blended a delightful and educational children’s tale with a pointed, satirical commentary on how a conservative society responds to new ideas. Almost 60 years after his original radio broadcast, Norwegian public TV broadcaster NRK commissioned director and animator Hans Jørgen Sandnes and his team for the production of a lovingly hand-drawn, animated short film adaptation of the famous source material. After its year-long production time and its impending premiere on national TV, Geitekillingen is set to do the short film festival circuit and, eventually, reach an international audience via TV and BluRay. In the tradition of vintage animation shorts from the mid-20th century, I’ve written and produced a lush, full-length orchestral score for Geitekillingen. I was also responsible for the audio post production and the restoration of Alf Prøysen’s original radio recording. Marking our 8th and as-of-yet most elaborate collaboration, I’m very happy that I got to work with Hans and his incredibly talented crew again, and I’m proud of what we accomplished. Stay tuned for news of where you can catch the little goatling! The good folks at game development startup Sceptical Skull have recently commissioned me to write a title theme for their upcoming survival horror game Crescent. The game is currently in pre-alpha stage; the plan is to finish the better part of development, then get crowdfunders on board for the homestretch with a playable demo. For the forlorn setting of Crescent, I’ve written a somber and eerie, yet beautiful main theme that you can check out on the References page. For Texas-based animation studio Fuzz Animation‘s new showreel, I wrote a sweeping orchestral theme that accents the magic and whimsy of their 3D animation targeted towards family media. Founded by independent 3D artist Nathan Dillow, Fuzz Animation provides a comprehensive range of animation services to clients worldwide and has gathered hundreds of millions of views with their Super Simple Songs range of children’s online videos. You can watch the showreel on my References page.